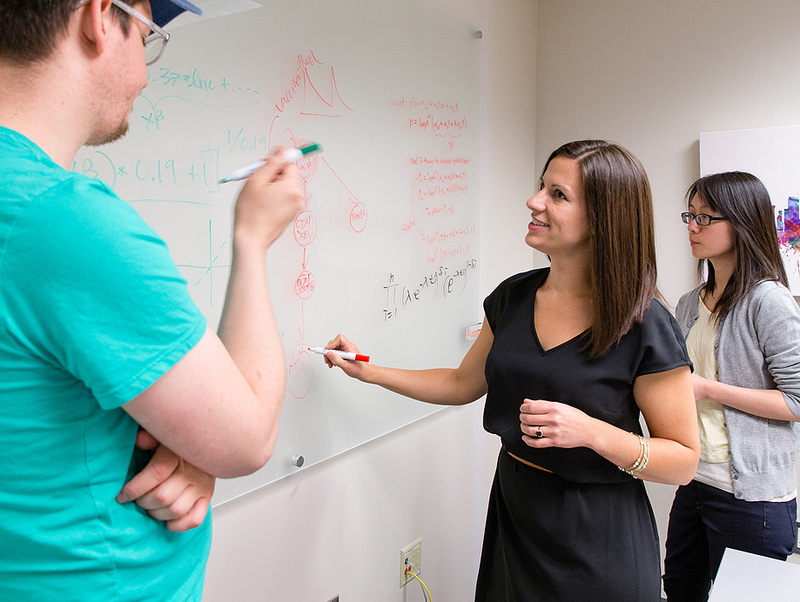 You would think three degrees from the University of Washington would take an enormous financial toll, but School of Pharmacy grad student Blythe Adamson, one of the UW's Husky 100, has been energetic and enterprising about finding funding. “I will graduate with all three of my degrees essentially paid for through a variety of public and private support,” she shared. Blythe Adamson applied for 20 scholarships, securing five, in 18 months. Over the past 18 months, Adamson applied for 20 scholarships. She initially received nine rejections in a row. “It was disheartening, but it gave me a thick skin about my research and writing.” Finally, the tide of turned and she received five awards. The benefits have built her confidence as well as her pocket. As an undergrad studying microbiology, Adamson was a two-time Mary Gates Research Scholar for her work in an HIV lab. She earned a master’s degree in public health (epidemiology) with financial support from Fred Hutch. In 2014, she decided to pursue a doctorate in pharmacy to study with one of the world’s leading pharmaceutical economists. “With most American HIV researchers [being] at the age of retirement, I knew it was time for me to return to UW for a Ph.D. to gain the tools to carry the foundational HIV research forward and one day have an AIDS-free generation,” she said. To find funding, Adamson subscribes to listservs and searches broadly among prospective sources, such as organizations that support women in science, HIV and AIDS research, and economics research. Public funds often come with restrictions, she has found, whereas private grants and fellowships afford more flexibility in paying for school fees, research and conference travel. A pre-doctoral fellowship from the Agency for Healthcare Research and Quality funded two years of tuition and provided a stipend; this gave her more time to hunt for other opportunities – time that might’ve instead been working part-time in a class or lab. It took Adamson a while to recognize and appreciate the relative anonymity of the application process. “At the beginning, I felt very self-conscious and vulnerable writing my personal statement and research aims, but after 20 applications I feel much more comfortable with myself and what I feel passionate about. I like to remind myself that, in most cases, I won’t ever meet the people reading my application,” she said.